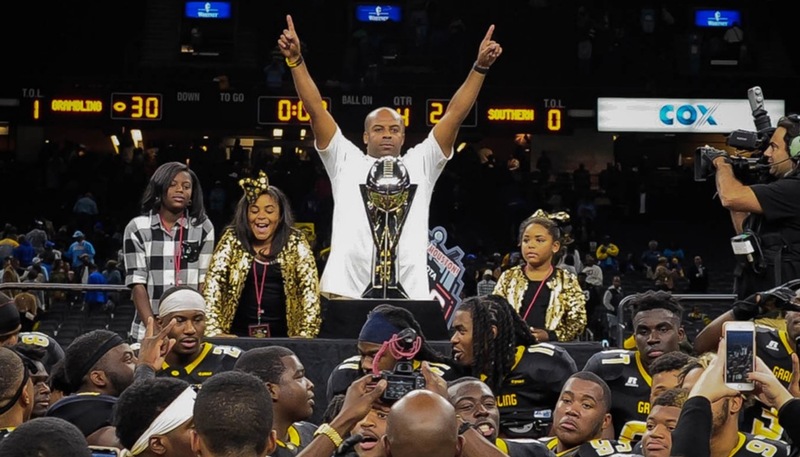 GRAMBLING, LA – June 21, 2018 – Grambling State University received approval from the University of Louisiana System on Thursday to extend the contract of the University’s head football coach Broderick Fobbs through the 2022 season. Fobbs returned to his alma mater in December 2013 and has led the Tigers to a 39-11 overall record in four seasons. Those wins include the University’s first HBCU National Championship since 2008. Under Fobbs, the team is 32-2 in Southwestern Athletic Conference (SWAC) play and has won back-to-back conference championships in 2016 and 2017. These achievements have contributed to Fobbs winning the SWAC Coach of the Year honor for four consecutive years. 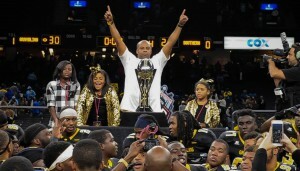 Under Coach Fobbs’ leadership, Grambling State’s championship program has produced five National Football League (NFL) players. They include Chester Rodgers (Indianapolis Colts), Chad Williams (Arizona Cardinals) and three contracted free-agents, Martez Carter (Washington Redskins), Montrel Meander (Cleveland Browns) and Trent Scott (Los Angeles Chargers). Grambling State is set to open the 2018 season on Saturday, Sept. 1, 2018. facing the University of Louisiana at Lafayette at 6pm in Lafayette, La. For interviews or more information on Grambling State Athletics, contact Brian Howard at 302.258.7461 or howardb@gram.edu. This entry was posted in Uncategorized on June 21, 2018 by Greta Carter.